At the age of 34, New Zealand’s DJ Forbes is showing no signs of slowing down. At the 2016-17 Dubai Sevens, he officially became the longest running ‘ironman’ in Series history, playing in his 80th tournament at the time. Not only did he set the world record for tournament appearances, but also became the most capped player of all time (he added a try in his record-setting match as well). “For me to be here 11 years on, 80 tournaments down the track, is pretty special and I’m just grateful that my body has served me this long and all the people that have supported me,” Forbes said of his accomplishment. The veteran continues to be excited about playing with a new generation of All Blacks and passing along the team legacy. At the conclusion of 2016-17, Forbes has taken the pitch for a total of 446 matches spread over 89 tournaments. He has played in 73 matches more then the second-most capped player: Collins Injera of Kenya. Even after 12 years of playing sevens at the highest level, the man is still pulling off incredible plays. Keep on trucking, DJ! 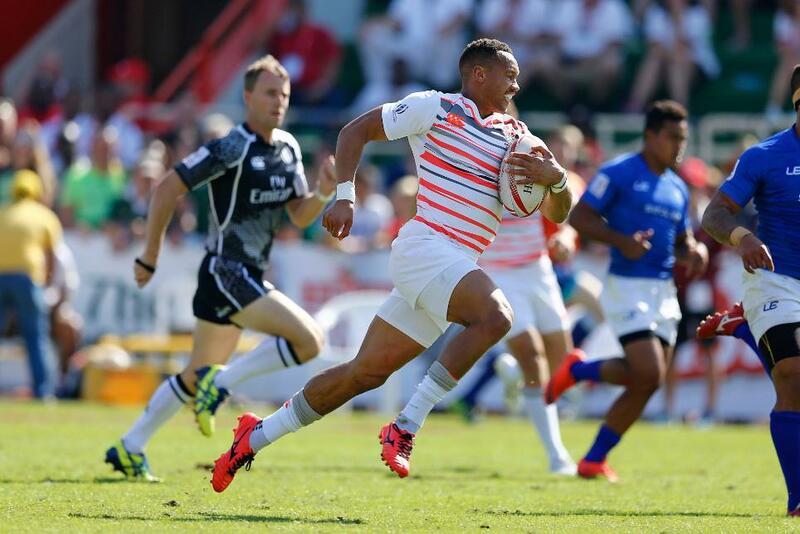 England’s Dan Norton, another veteran who has established himself as one of the greatest sevens players ever, cannot stop scoring. At age 29, Norton has one of the fastest set of wheels on the series and over his career he has constantly been an offensive threat. Coming into 2016-17, Norton was sitting at 210 tries. 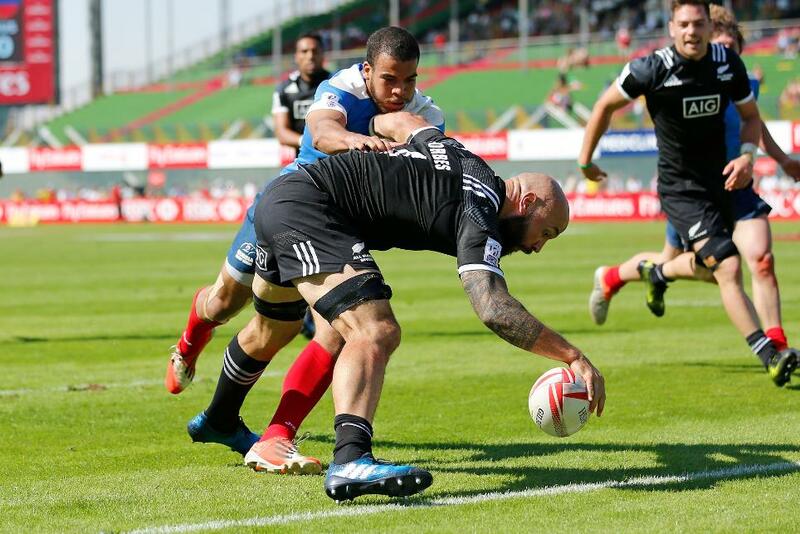 After a blistering start to the year, he managed to pull level with Kenya’s Collins Injera with 244 tries to tie the all-time try record at Canada Sevens. That ultimately set up the historical moment. In his first game at the iconic Hong Kong Sevens, a place where Norton has “fond memories,” the England speedster managed to beautifully chip the ball over the defence and chase it down for an epic record-setting try. The score moved Norton into sole possession of the all-time record and he hasn’t looked back since. “It’s an amazing feeling…over the years I’ve played alongside very gifted players who have pushed me and also done the work to put me in the right position to get on the end for tries.” Norton said. Dan Norton finished 2016-17 with 51 tries, putting him at a total of 261 for his sparkling career. 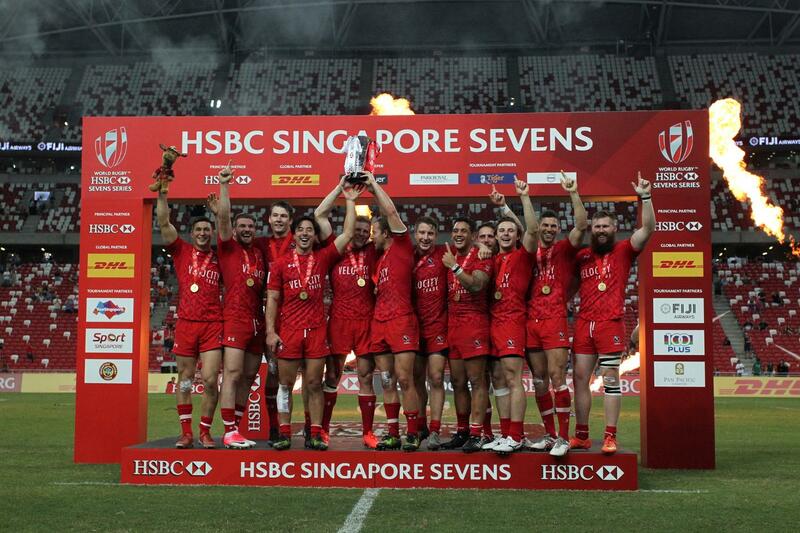 Canada’s 2016-17 Men’s squad etched their names into the history books by winning their first ever HSBC World Rugby Sevens Series Cup Championship. After making the Singapore Sevens quarterfinals, they took down #4 ranked New Zealand and #3 ranked England enroute to the first all North-American final in Series history. There they dispatched of their USA rivals 26-19 on a last minute try by Lucas Hammond to claim gold. “It’s an unbelievable feeling,” said Nathan Hirayama, “A lot of us have been on the scene a while and we came through some dark times, but to come away with that win was special.” The victory came during Canada’s 140th tournament on the circuit. Canada also became the only country to win both a men’s and women’s tournament in 2016-17. The women won at the Sydney Sevens back in February. During the break in the finals, with the score 19-12 for Canada, Head Coach Damian McGrath told his players, “Remember that self-belief that brought you here.” Believe they did. Not just during the gold medal match, but all year. McGrath, who took over the team in the offseason, led Canada to six quarterfinal appearances, two medals, and an eighth place finish on the year (jumping up from thirteenth last year).